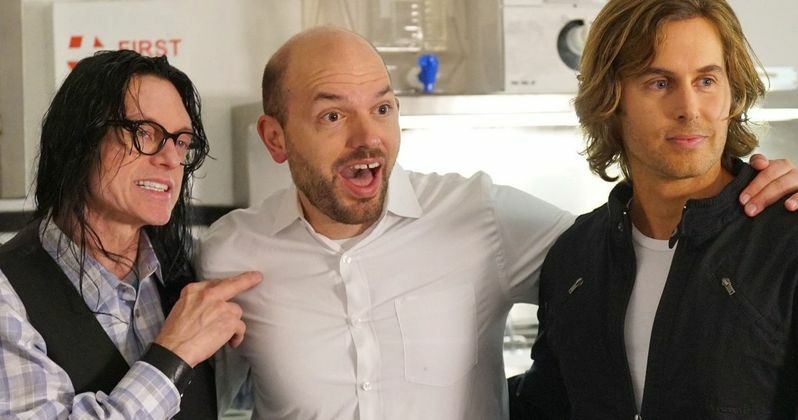 Best F(r)iends, starring cult-movie heroes Tommy Wiseau and Greg Sestero from The Room, debuts in movie theaters nationwide this spring, but we now have our first look at the trailer. The new Wiseau-Sestero dark comedy thriller is written by Sestero, who wrote the New York Times best-selling The Disaster Artist, which was adapted into an Academy Award nominated movie, starring and directed by James Franco. Franco stars as Tommy Wiseau in that biopic, while Dave Franco played Greg Sestero. Best F(r)iends is inspired by a road trip made by Sestero and Wiseau after the production of The Room in April of 2003 and it will be released in two volumes, for two nights each. Best F(r)iends comes to cinemas nationwide on Friday, March 30th and Monday, April 2nd, with Best F(r)iends: Volume Two following on Friday, June 1st and Monday, June 4th, all at 8:00 PM local time. In addition to viewing the feature content, attendees will also see exclusive behind-the-scenes footage and outtakes. Tickets for Best F(r)iends can be purchased online by visiting Fathom Events or at participating movie theater box offices. Fans throughout the U.S. will be able to enjoy the event in nearly 600 select movie theaters. A complete list of theater locations is available on the Fathom Events website. This is sure to be a weirdo cult favorite amongst people who seem to enjoy really bad movies. It looks marginally better than The Room, which isn't saying much at all. The official synopsis for Best F(r)iends has Greg Sestero as a drifter and Tommy Wiseau as a weird mortician, which is pretty perfect because that's kind of what he seems like he would be in real-life. Maybe the movie is playing off of his strengths this time around. Anyway, it shares some similarities with The Room in that there's some jealousy and greed with some blood thrown in for good measure. "When a drifter (Sestero) is taken in by a peculiar mortician (Wiseau), the two hatch an underground enterprise off the back of the mortician's old habits. But greed, hatred and jealousy soon come in turn, and their efforts unravel, causing the drifter to run off with the spoils and leaving the mortician adrift. An expedition across the Southwest introduces wild and crazy characters through a series of twisted and dark foibles as both men learn a valuable lesson about friendship and loyalty." Fathom Events Vice President of Programming Kymberli Frueh, talked about her excitement of bringing Best F(r)iends volumes 1 and 2 to movie theaters for a select time. She went on to say that the reception for the trailer was off of the charts when it premiered in front of some special screenings of The Room. She had this to say. "When we unveiled the Best F(r)iends trailer at our cinema screenings of Tommy Wiseau's The Room in January, fan response was overwhelming. This spring, we are excited to bring this reunion of friends to fans of Wiseau and The Room everywhere." Best F(r)iends also stars Paul Scheer (the League, Veep) and features a musical score created by Daniel Platzman of Imagine Dragons. You can check out the brand-new trailer for Best F(r)iends below, thanks to the Best F(r)iends YouTube channel.